PALM BEACH, Florida -- A K9 officer in Florida was honored for taking a bullet meant for his human partner. 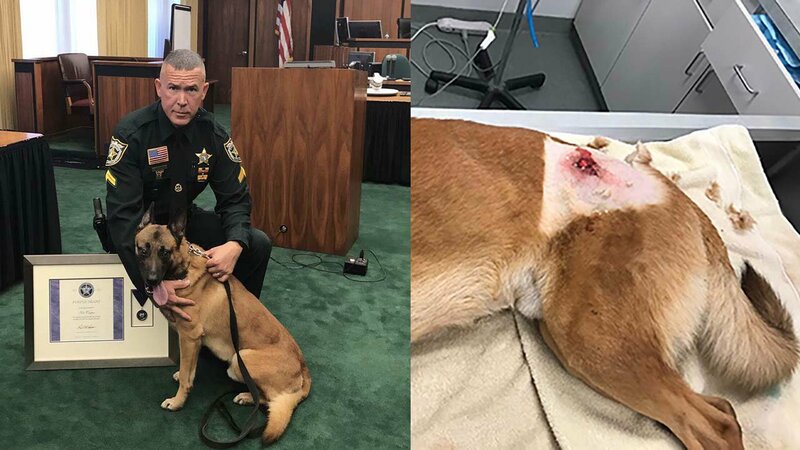 K9 Casper was shot in the hip while protecting his partner when a suspect opened fire upon deputies who were trying to apprehend him, the Palm Beach County sheriff's office said. "This heroic furry friend has won the hearts of many," the sheriff's office wrote on Twitter. The sheriff's office shared video as K9 Casper was awarded the Purple Heart from the U.S. Marshals on Wednesday.